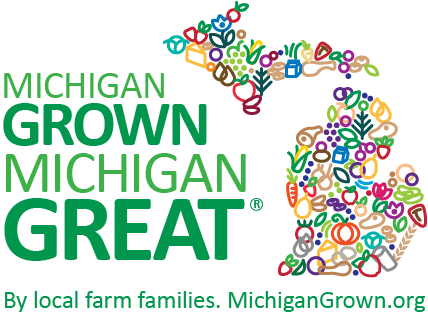 Podcast | MICHIGAN GROWN. MICHIGAN GREAT. 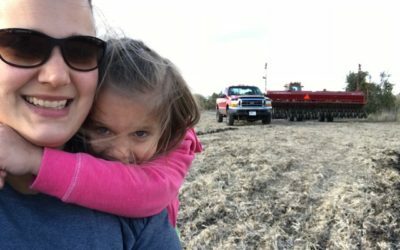 Dani Dryer farms fulltime with her parents and sister to grow about 900 acres of crops including corn, soybeans, wheat and alfalfa. The family also works on custom-tiling fields for other farmers. She shares about places she’s traveled and snowmobiled, technology on her family’s farm and more. Meet Dirk Okkema, a dairy and sheep farmer from west Michigan. He also works fulltime as a member representative of a dairy cooperative. 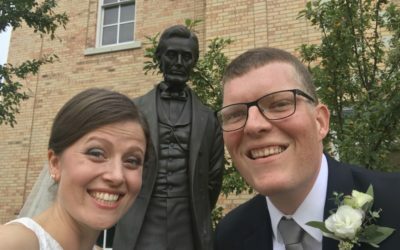 He shares about regularly used smartphone apps, traveling around his region for farm inspections, welcoming baby lambs and visitors at his family’s farm and more! 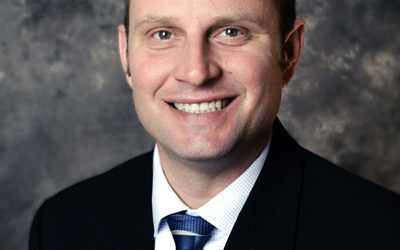 Meet Sean Trowbridge, who spoke with us on a snowy day in Goodrich (near Flint). 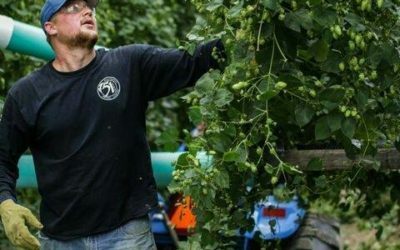 He started a farm with his dad a little over 10 years ago with pigs, bees, turkeys, a big garden and hops. 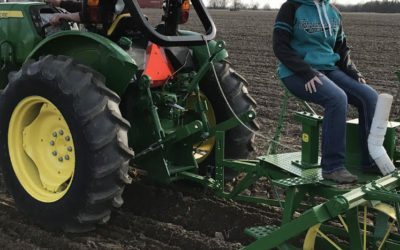 Since then they’ve narrowed their focus, and he shares with us about qualities that may change the flavor of products, equipment and labor needed for a successful harvest and more! 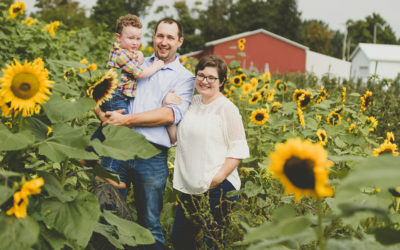 Sarah Mathe farms with her husband and their two young children on her family’s centennial farm in southeast Michigan. They raise corn, soybeans and wheat, plus cattle and sheep. Listen in as she talks about her dream day, new ventures she’s working on including a business and a fun, unique dress-up experience of her four-year-old. Travis Fahley raises cash crops, hay and straw with his dad. He shares about what he’s working on this winter, sports and school rivalries in his household, foods he’s eating and more. It’s time to meet Carrie Preston! Carrie shares with us about lessons learned on the farm and through teaching about agricultural science. Topics include secret cooking ingredients, travel destinations and more. Meet Brian Preston. He farms with his dad, uncle and cousin to raise 1,500 acres of crops, plus 10,000 pigs per year AND milk 800 dairy cows in south-central Michigan. 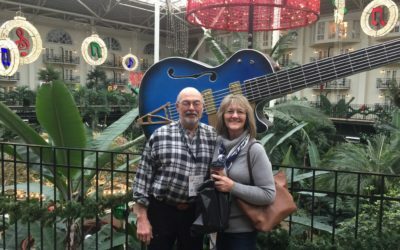 In this episode, we hear about activities that fill up his family’s days, why a family business is special, a technical conversation about shrink and more. Mick Kokx retired from Michigan State University. He raises locally-grown produce and meat goats in southwest Michigan. He shares about the difference between goats and other animals, stickershock of making a move from Baltimore to the Upper Peninsula and more. 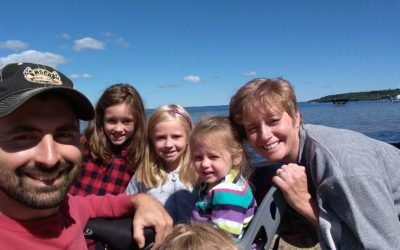 Meet Jennifer Lewis, a dairy farmer from Jonesville with a husband, three grown kids and three grandkids. Her family also raises corn, soybeans, wheat, hay and blueberries. She shares about her household grocery staples, a reason she’s happy to eat her youthful words, a hobby she hasn’t had time for in three years and more. Jodi DeHate is a Michigan Agriculture Environmental Assurance Program (MAEAP) Technician based in Missaukee County. She grew up on a dairy farm, but now she and her husband raise fruits and vegetables and she milks cows every other Sunday. Listen as she talks about creative ways she’s built a business with used materials, hunting and fishing and what career changes led her to this point in her life. 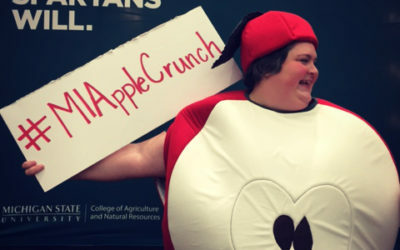 Nick Schweitzer raises about 20 varieties of apples with his family in West Michigan. Learn more about him and why he’s the ultimate planner, how apples are stored for optimum fruit quality all year long, what he would serve dinner guests for dessert and more! The Frankenmuth Bavarian Inn Restaurant is celebrating 130 years of being in business! Amy Zehnder Grossi is a fourth-generation restaurateur and joins our podcast as a winner of the 2018 Michigan GROWN, Michigan GREAT restaurant award. 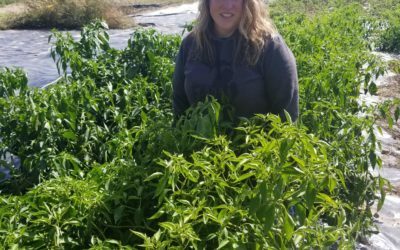 Hear about what brought her back to her family’s business, partnerships and tours with farmers to supply the volume of food served in their local restaurant, their annual Michigan Dinner event and more. 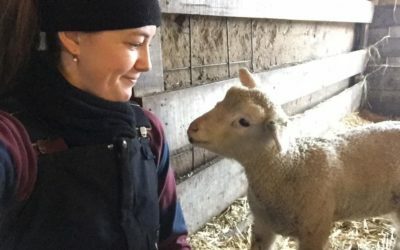 Elaine Bristol works for the Michigan Ag Council during the day, but at night she transforms into a shepherd! Elaine, a fifth generation Michigan State Spartan, raises sheep with her family. Listen as she tells about how she ignored her instincts on a flight, the joy on people’s faces at Disney World, the beauty of a dead end sign and how many wool items of clothing she sports daily. 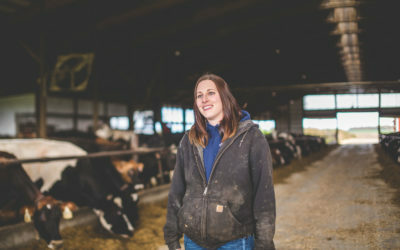 Meet Annie Link, a multi-generational dairy farmer who milks about 2,000 cows and raises crops in West Michigan. Her family’s farm started in 1915 when Annie’s great-grandfather married the farmer’s daughter. 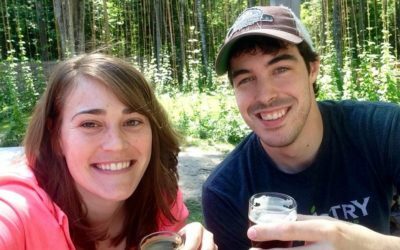 She and longtime friend (and podcast host) Carla visit about cheese making, wrestling and running, a life-changing experience and what she’s learning around her laundry schedule. 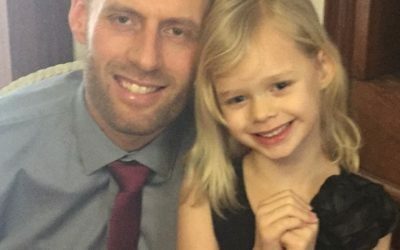 Ben Smith is a husband and father of four. 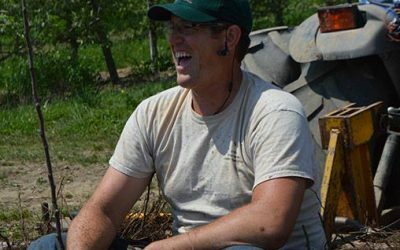 He works with his father- and brother-in-law to grow wine and juice grapes, corn and soybeans in southwest Michigan. He also serves as the Executive Secretary for the Michigan State Horticultural Society. Get to know him and how his roots in asparagus and cherries led to being an aerospace engineer and back again. 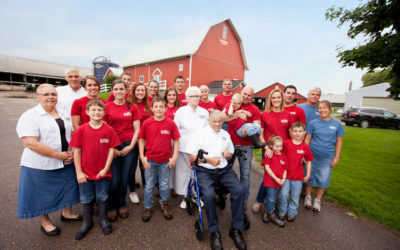 Meet Ben Tirrell, whose family has owned the same farm for more than 100 years. They raise sheep and beef cattle, plus corn, soybeans and wheat. He shares about a variety of topics including raising daughters on the farm, ways farmers are opening farm gates to conversations, a taxing farm sport, our shared future and one way he’s living by the best advice he’s been given. Abracadabra, it’s Christmas tree season! Meet Tony Stefani, husband and father of four, who works with his dad to grow cut-your-own Michigan Christmas trees. He and Carla visit about a special kid quest, unique scents of the Christmas trees he grows, a distant cousin with a very different job and a meal he could eat every day. 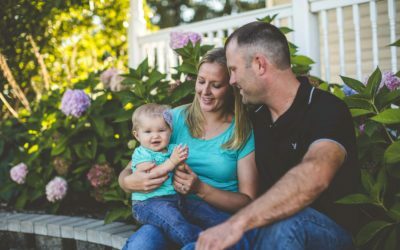 Meet Zack Snider, a young farmer who raises pigs, turkeys, corn and soybeans with his family in West Michigan. He talks with us about things he’s most thankful for, family holiday traditions, people he might invite to dinner if given the chance and things that may surprise you about his turkeys. 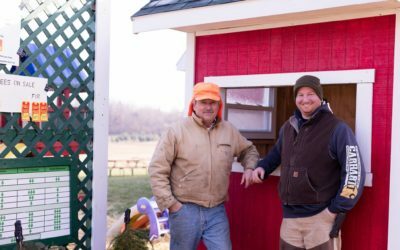 Meet Sam Krhovsky, a farmer who has corn, soybeans and wheat, plus a roadside stand. Off the farm, Sam was an agronomist and is now a sales manager for DEKALB®/Asgrow. Listen in as she talks with us about breaking stereotypes, career choices and education, travel, answering questions about today’s food system and people for whom she’s most thankful. 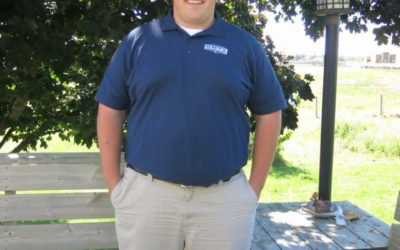 Meet Brian Pridgeon, a seventh generation pig, corn, soybeans and wheat farmer. 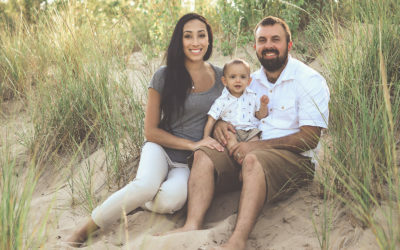 He shares lots of laughs with Carla about topics including songs he’s playing on the piano lately, jobs he’d rather not do and ones he enjoys, something he wishes Michigan had more of and a life-changing experience post-Thanksgiving three years ago. Meet Allyson Maxwell. She is a corn, sugarbeet, soybean, wheat and seasonal pumpkin farmer raising two boys and a farmdog. Whew! She makes a minute to chat about food decisions she makes at the store among overwhelming food labels, what she enjoys doing outside of working and things she’s looking forward in the future. 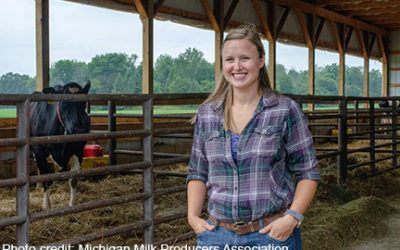 Meet Nicole Heslip, a farm broadcaster with dairy farm roots in southwest Michigan. She talks with us about being a media professional among other topics like fitness, guilty pleasure foods, opening and owning a business with family, the best beer festivals and the No. 1 reason she applied for college. 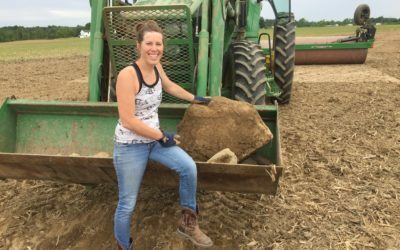 Meet Carla Schultz, a livestock and crop farmer working alongside her husband, four kids and her parents in Michigan’s “thumb” region. Carla and Carla have a fast-paced discussion about the best places to travel in Michigan, coaching kids’ soccer, business goals for the upcoming year, what farmers do for fun and really GREAT life advice. 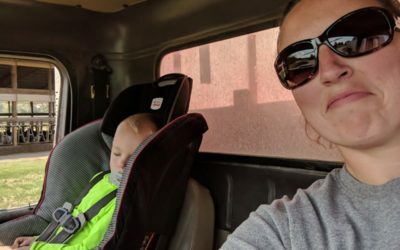 Meet Kristi Keilen, a fourth-generation dairy farmer, who milks 450 cows three times a day and raises crops like corn, soybeans and wheat, with her husband and their three-year-old son. 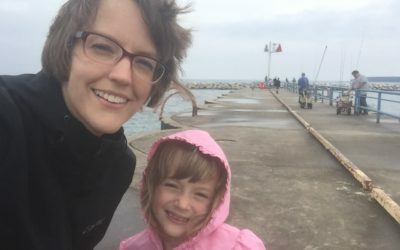 Kristi and Carla have a fast-paced conversation about balancing technology and comfort, meal prep, Sunday traditions, working with a three-year-old on the farm and travel destinations in and outside of Michigan. Meet Maria Brown, a writer for a local newspaper and a magazine freelancer, plus a grain farmer with her husband and kids. She visits with us about things like gardening, taking walks and other ways she gets energized, being a lifetime learner, goals she’s setting and things she’s thankful for in life. Meet Kyle McCarty, a technical fourth-generation farmer who works alongside his dad and uncle on 400 acres. Aside from working fulltime and completing wood projects, he talks with us about technical education and leadership, hunting and fishing, woodworking, family and finding ways to have fun when you’re working. 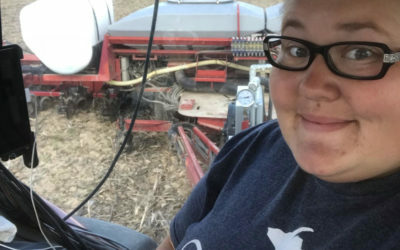 Meet Amanda Carey Goodfellow, a farmer who works alongside her dad and grandfather on about 1,000 acres and who milks 180 cows using robot milking machines. She takes a break in the field with us and talks about her farm wedding and remodeling projects, how she convinced her dad she was dedicated to running their family’s business, salesman mistakes, being involved in her community and what it’s like to take care of her animals and land. 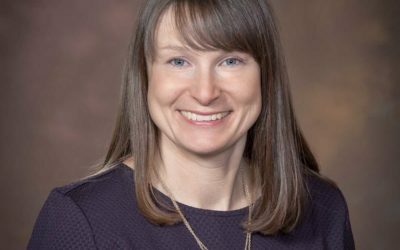 Meet Julie Darnton, an MSU Extension educator who works in community food systems, helping people recognize the value of buying local products. Julie works with farmers markets, institutions and the public. She tempts your tastebuds and tantalizes your inner-travel bug in this interview. 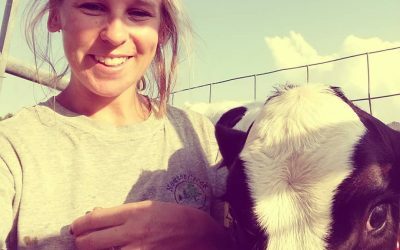 Meet Katie Eisenberger, a teacher and budding farmer who was raised on a dairy farm who’s now helping students and her own family discover the wide world of agricultural careers. 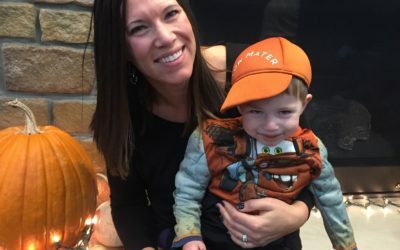 She talks about the things she’s most thankful for; being a runner, teacher, mom, wife, daughter, sister and farmer; and remodeling a barn into a modern-day home for her family. 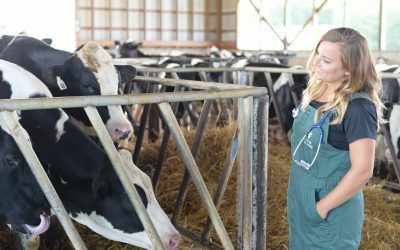 Meet Dr. Marissa Hake, a veterinarian who drives 4-6,000 miles each month to work with farmers and their animals, specifically veal calves, throughout a three-state region. She and her husband also farm just a few miles outside of Michigan. Her “tails” include sharing about fitness and financial goals, the books and music she listens to on the road, an image of her dream day and farmgirl fashion. 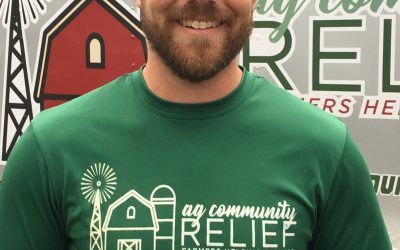 Meet Matt Schaller, leader for Ag Community Relief, an association helping communities struggling through natural disasters. Listen in as he talks with us about current efforts being put together for rebuilding after Hurricane Florence, the way farmers care for people, animals and businesses across our nation and wildfire leadership spreading through communities in times of need. Meet Andrea Jorgensen, an artist who embraced farmlife when she met her husband. 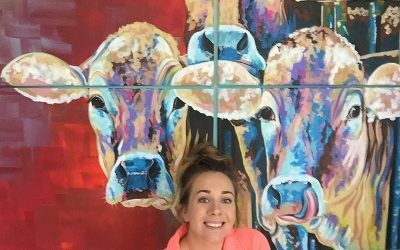 Andrea talks about a variety of topics including the method she uses to paint farm animals and how she got her start, traveling, being a parent and keeping things in perspective. Meet Ashley Messing-Kennedy, a dairy farmer who is raising her family on the farm where she grew up, and using new technologies to do so! 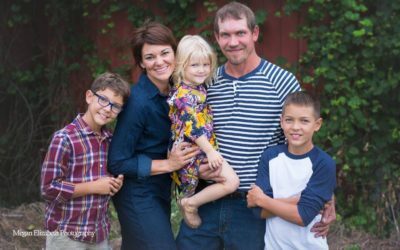 Ashley talks about a variety of topics including farming with family, strong-willed children, running, animal nutrition, making time for everything and being in business providing food for families. 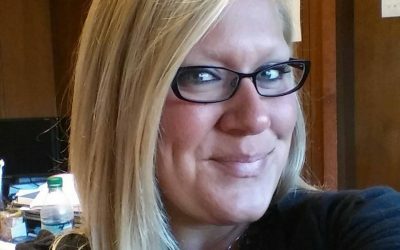 Meet Angie Setzer, who is responsible for buying and selling grain (corn, soybeans and wheat) from farmers. 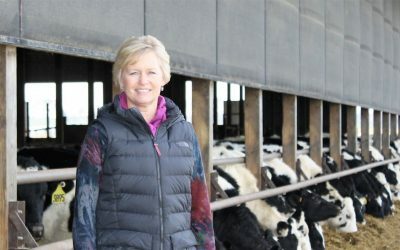 Angie talks about a variety of topics including family farms, what’s involved in buying and selling a farmer’s product, working an office job out of the office and being a mother and step-grandmother. Meet Jed Welder, a diversified Michigan farmer who grows corn, soybeans, wheat and oats. 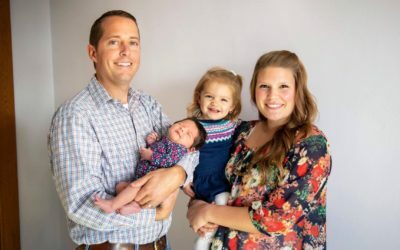 Jed talks about a variety of topics including transitioning from a career in the military to farming fulltime, raising kids on a farm, building relationships with people and being efficient in business. 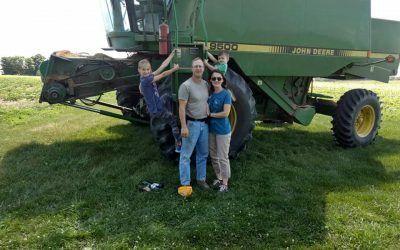 Meet Rita Herford, a diversified Michigan farmer who grows soybeans, edible dry beans, wheat, corn & sugarbeets, with her family. Rita talks about a variety of topics including motherhood, work-life balance, marriage compromise and being recognized by The White House for leadership in our shared community. 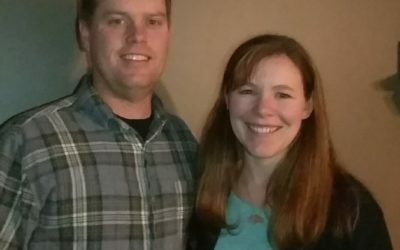 Meet Nicole Wren, a Michigander who started a dairy farm with her husband, Brad. Nicole talks about a variety of topics including motherhood, small businesses, rural living and the best advice she was ever given.